What Do Your Little Ones Learn in Preschool? Yes, this means that your little ones are learning the foundations of math! This will include counting from one to ten, or even twenty, and the most basic of arithmetic, like putting one and one together using objects to get two. Preschoolers will be made to familiarize with basic shapes such as squares, circles, rectangles, and triangles, and colors like red, blue, green, yellow, green, orange, and violet. Pictures, toys, and even corresponding objects around them will be used to allow them to familiarize more. In addition to memorizing and singing along to the Alphabet Song, kids learn about each letter of the Alphabet individually, and how they have different sounds. Phonetics will also be taught during preschool, with kids learning how each letter are pronounced and how they form words. This is a crucial part of learning in preschool, as this is where your little ones develop and practice their finger strength and pincer grip. 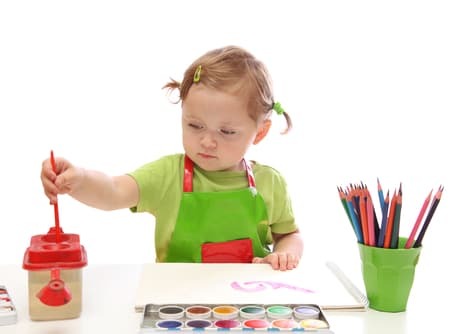 Fine motor skills are often taught through arts and crafts, or sensory play. Play is an integral part of early childhood development. Through it, your preschooler will have a sense of self, and learn to get along with others as well. Play will also spark their imagination and practice their problem-solving skills. Lastly, as your little one enters preschool, they will be practicing a little bit of independence, and being able to enjoy themselves without someone they’re all-too-familiar being around. They will also learn to interact and socialize with other kids, and practice communication and respect. If you are yet to find a preschool that you can trust will give your little ones the right kind of fun, educational, and holistic experience, not to mention, a preschool that will surely give your little ones the proper child care in Bronx, New York, then look no further than Tender Years Childcare. We are more than just a day care center in New York. We are an institution dedicated to providing your child with the proper tools in education, independence, manners, and social skills they need for a fulfilling early growth. This entry was posted in Preschool and tagged Child Education, Child’s Development, Day Care, Social Skills. Bookmark the permalink.